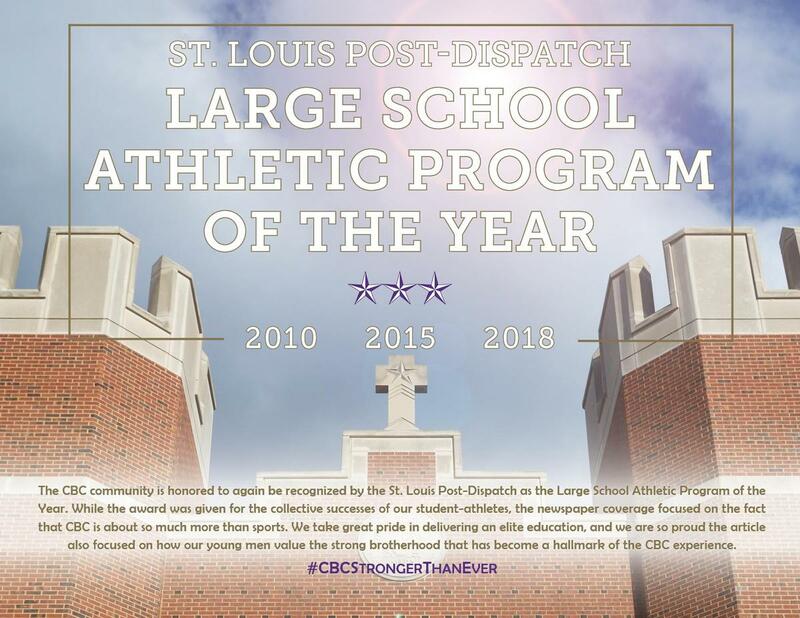 CBC has built a proud Championship Tradition, winning state championships and having student-athletes and coaches nominated for prestigious postseason honors. 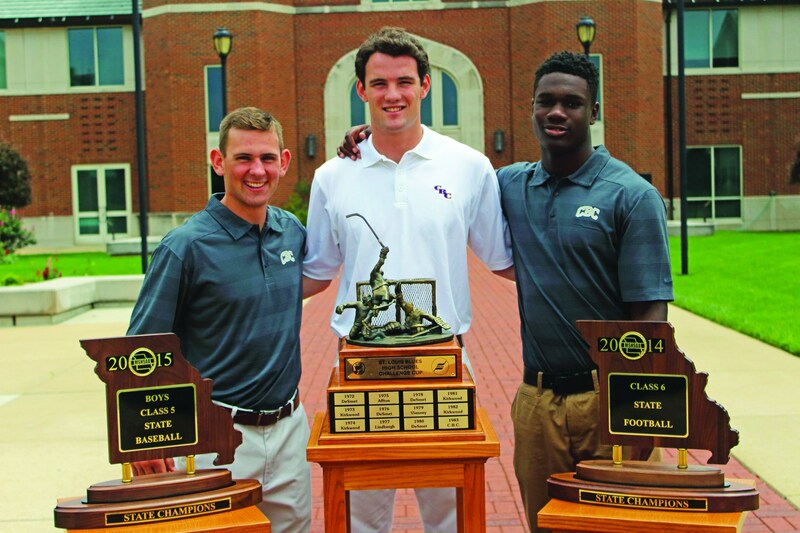 These include metro-wide awards like the St. Louis Post-Dispatch’s Player of the Year, St. Louis Post-Dispatch’s Coach of the Year, and the St. Louis Post-Dispatch’s Athletic Program of the Year. These awards are a tremendous tribute to the hard work of our student-athletes and coaches. The only thing we are more proud of than our Championship Tradition are the number of opportunities we provide for every Cadet to learn and participate as part of the team. We offer at least two freshman teams in Football, Soccer, Basketball, and Baseball, in order to double the number of students who get the opportunity to participate in those sports. Additionally, CBC offers "no-cut" sports in each sports season. These include: Football, Cross-Country and Swimming in the fall; Wrestling, Bowling, and Racquetball in the winter; Lacrosse, Track & Field, Ultimate Frisbee, Rugby, Water Polo, Inline Hockey, Volleyball, and Tennis in the spring.